Hey! 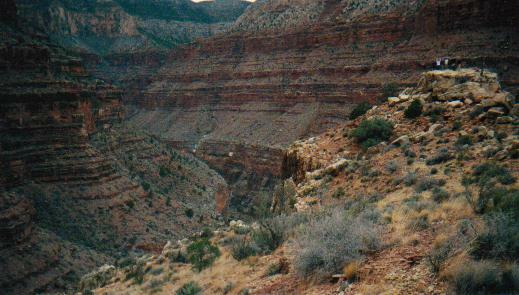 As you may know, Troop 104 hiked the Grand Canyon in February. Every day for the next few weeks, I will try to post a new picture or two from the trip. Enjoy! 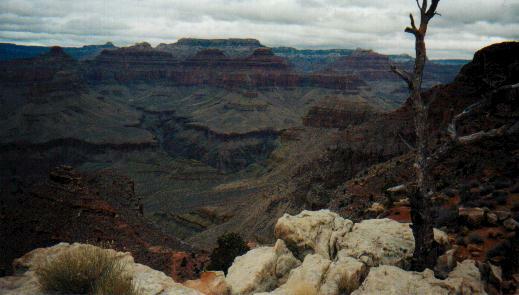 This picture and the one beneath were taken from the Grand Canyon Southern Rim. 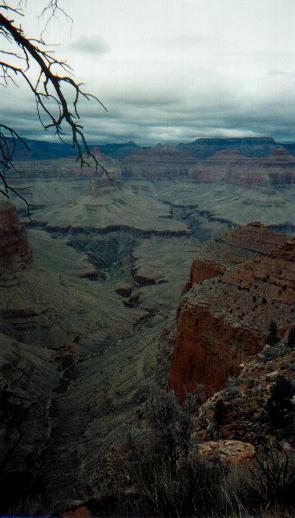 This shot was taken on the trail in the early morning when we set out. More shots from the winding switchbacks. I think all of us found ourselves asking, "Hey, where exactly is the trail?" If you look at the top right corner, you might notice a few odd looking lines. That's us. 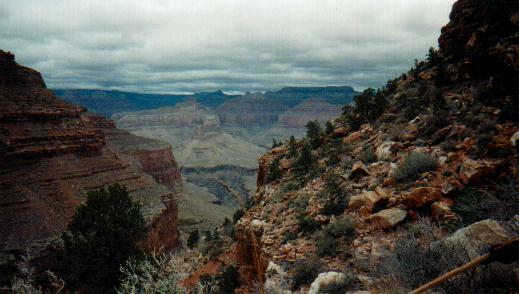 The entire Grand Canyon Forest. It rained on and off during the first day, but at least it gave us a rainbow.